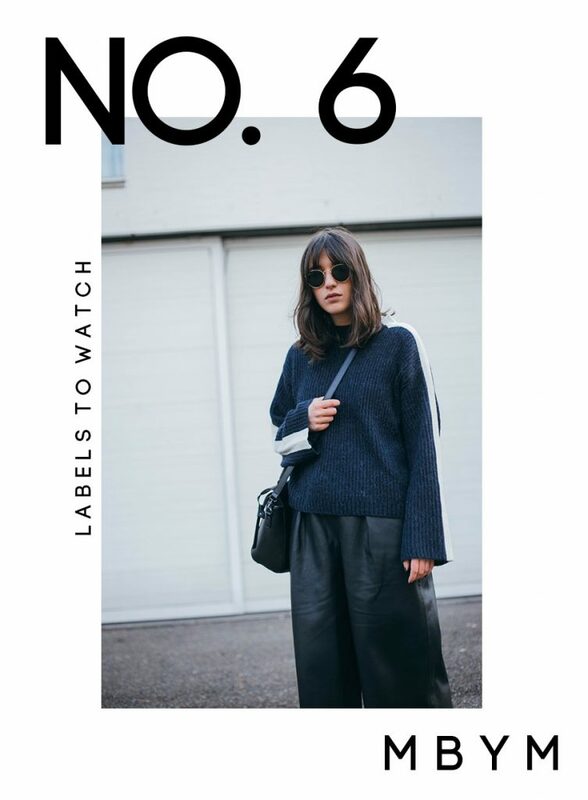 You all know by now that the label to watch section on my little cyber space is one of my dearest sections. 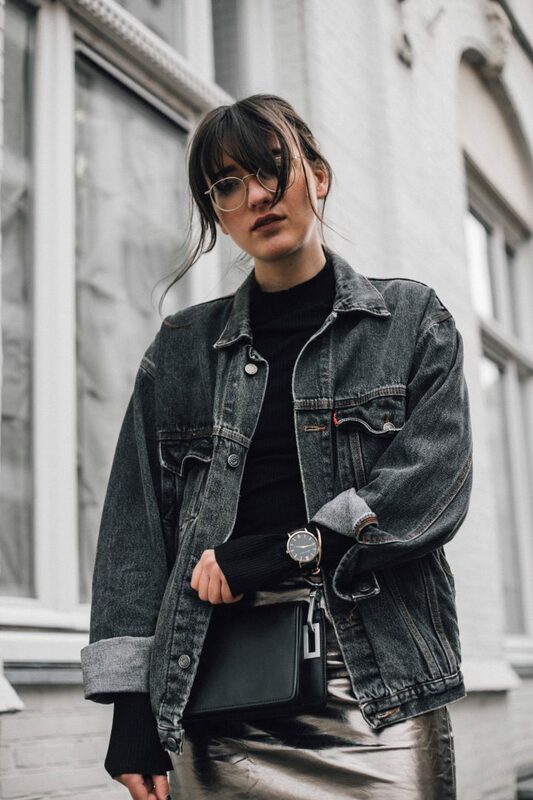 I love finding young brands and connect with them. 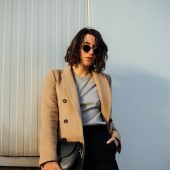 Besides being interested in fashion I am also interested in the exchange between bloggers and brands. Whenever I get to talk to young brands I feel like one can gain so many new perspectives on the subject but also on the business side of a fashion label. After writing a storm of an introduction I haven’t even mentioned todays label to watch yet. 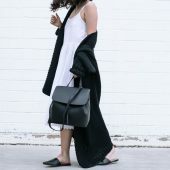 It’s Scandinavian up and coming brand mbyM. I have already styled one of their beautiful blouses back in summer (oh god how I miss the warm weather). The responses to the midnight blue velvet jacket were impressive, too. So I figured it was about time to give you a proper introduction to mbyM. The brand describes the woman that wears mbyM as the coolest girl in the room (I feel flattered). She has a bubbly personality and is outgoing (I guess talking a lot ticks that box, right?). The designs are classics with a twist and you know how much I love a good twist. 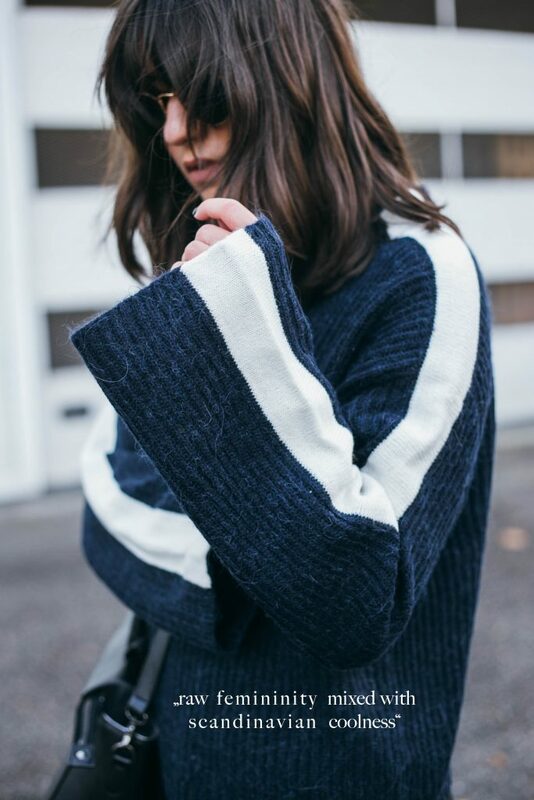 The jumper I am wearing today could be your ordinary navy mohair knit but the added racer stripe as well as the extra wide (and long) sleeves add that little extra excitement I search for in all my pieces. 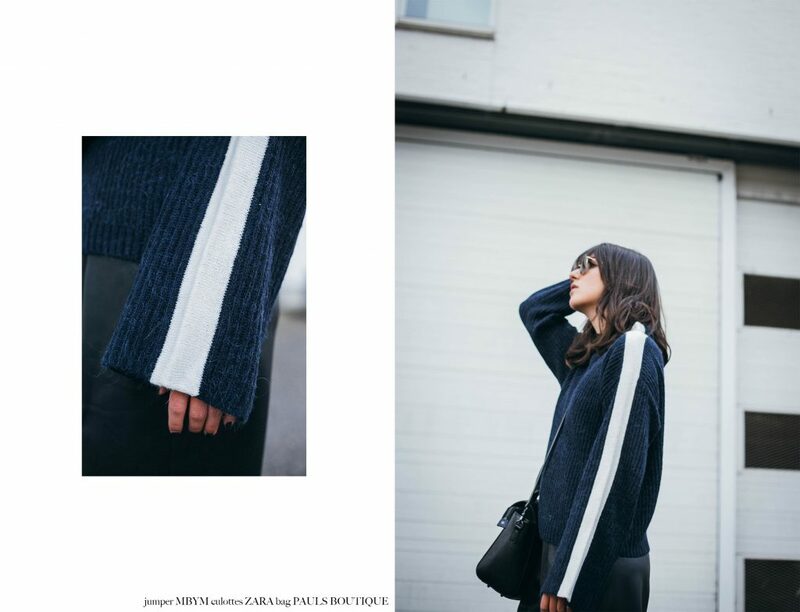 All photos taken by my beautiful & talented blogger babe Esra from Nachgesternistvormorgen. wow these clothes are amazing! I love the sweater! Liebe deinen Stil so sehr. Liebe deinen Style so sehr <3 Vielen Dank fürs vorbeischauen! Wieder einmal perfekt!Ich liebe deine Edits und deine Looks und einfach alles an deinen Posts! BIG LOVE! Ahhh du süße vielen vielen Dank <3 Mir gehts bei deinem Blog ja ganz ähnlich! 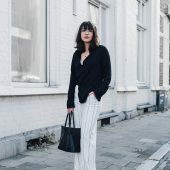 Die Culotte, nein der ganze Look – einfach perfekt!!! 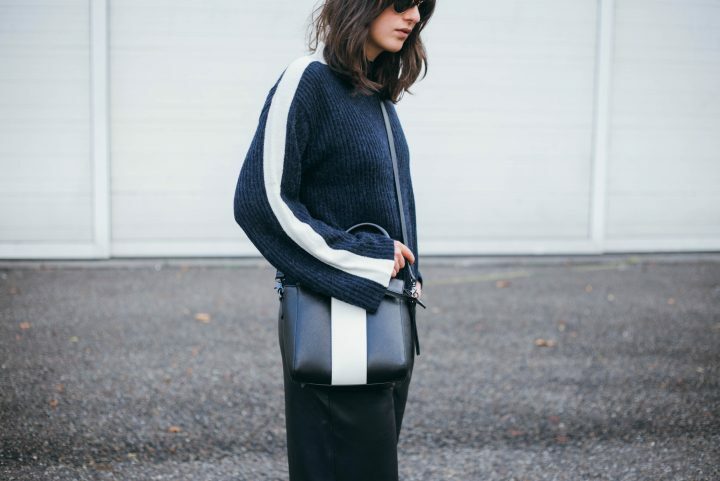 Oh I need some leather culottes immediately! Love the knit, incredible outfit dear! Amazing look my dear Sophie! 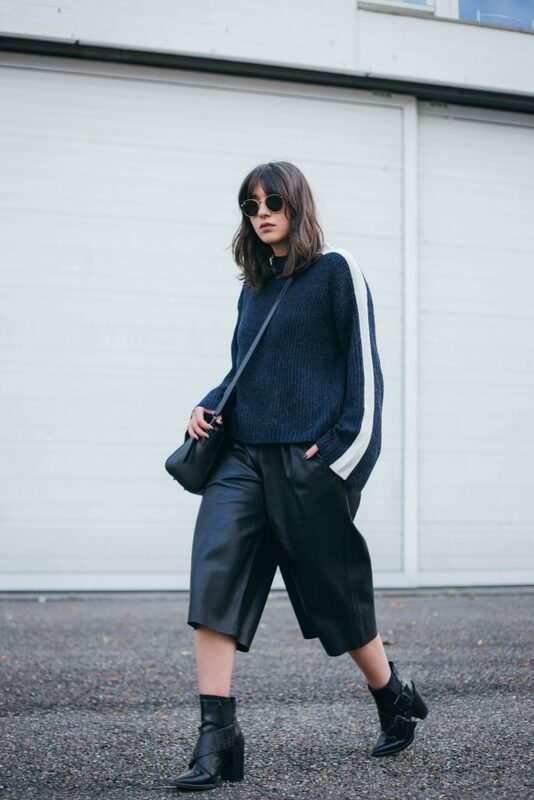 Love this oversized style with leather culottes and this amazing oversized sweater! I would love to wear it! Thanks for sharing and have a great week hun! Deine Bilder sind immer wieder total bezaubernd ♥♥ die Bildsprache ist ganz toll! Und das Label muss ich mir unbedingt merken! Vieeeelen Dank 🙂 Ja mbyM sind wirklich klasse und die Lederjacken sind der Hammer! I love the name of the brand! And yes who can resist such minimal style with a twist and good material? 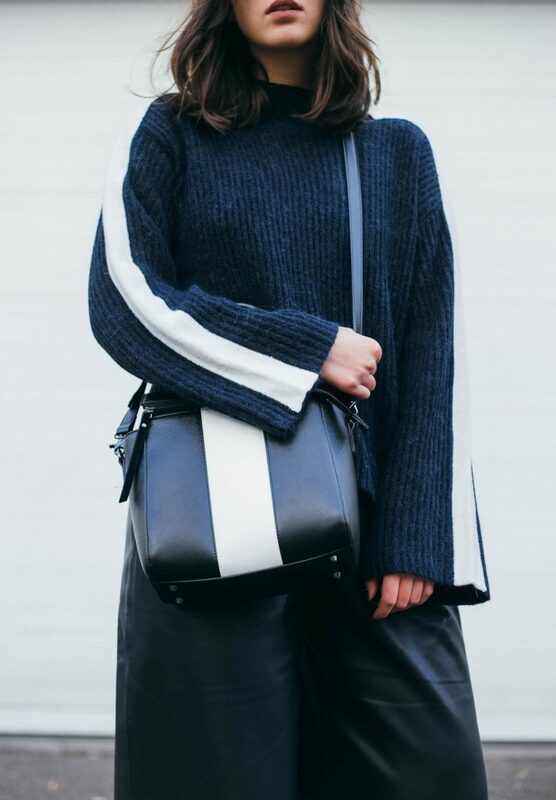 Der Pulli ist toll, besonders dieser weiße Streifen macht ihn zu etwas ganz Besonderem! 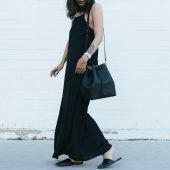 Und wie toll die Tasche dazu passt! 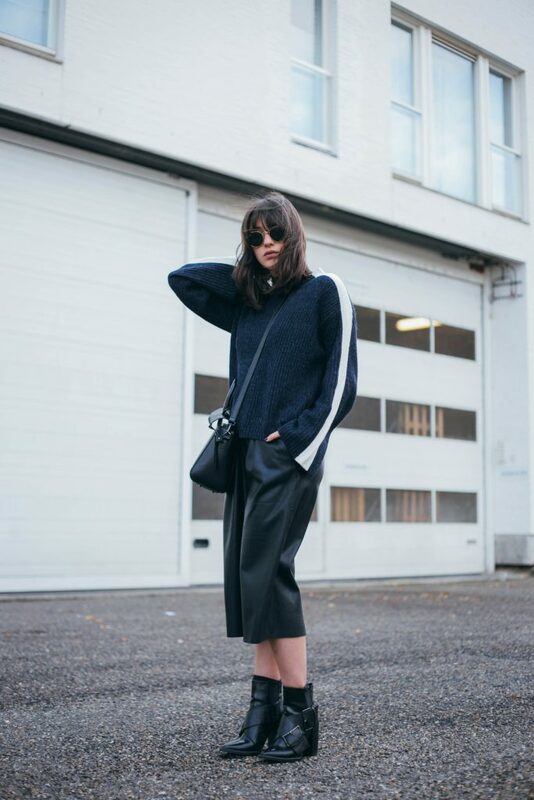 The knit is so cool with those culottes and boots! HAMMER HAMMER HAMMER meine Liebe! Du triffst mit deinem Stil und deinen Bildern bei mir immer ins Schwarze. Total gut, erkenne mich darin total wieder hihi. Omg obsessing over this, such an edgy look babe! Das Outfit sieht richtig richtig toll aus. Ich liebe die Culotte und die Tasche. PS: Auf Important Part hat heute ein X-Mas Special mit tollen Gewinnspielen gestartet. Vorbeischauen lohnt sich! Das Label finde ich auch super! Ich liebe den skandinavischen Stil! Der Pullover ist ein Traum und deine Fotos der Hammer! Dieser Look ist so nice! Die Bilder sind ein Wahnsinn !!! Zara könnte dir alle abkaufen!